MMES implements a standards-based curriculum aligned to the Arizona Early Learning Standards in Preschool and the Arizona College and Career Ready Standards (AZCCRS) and other state academic standards for grades K–3. You can access each of these standards in the Arizona Department of Education section below. Teachers teach and students engage in the academic standards through a variety of adopted core and supplementary programs. Please take the time to read through the information we have available on these programs. Teaching Strategies GOLD is a state-approved observational assessment system used by both our community and developmental preschools. The system is based on 38 developmental objectives that are aligned to the Arizona Early Learning Standards. It is an ongoing assessment in which teachers record daily student progress and achievement of developmentally appropriate goals. Teachers complete summary benchmark data and analyze the results in late October, early February, and at the end of the school year in May. DIBELS stands for Dynamic Indicators of Basic Early Literacy Skills. The assessment measures students’ early literacy skills such as sound fluency and oral reading fluency. DIBELS is individually administered to K-3 students three times a year in August, December, and May. Between benchmarks, teachers monitor students’ progress with the frequency dependent on students’ need levels such as “intensive” or “strategic”. The main purpose of DIBELS is to identify children having difficulty with these skills so that we can provide early intervention to prevent later difficulties in reading. 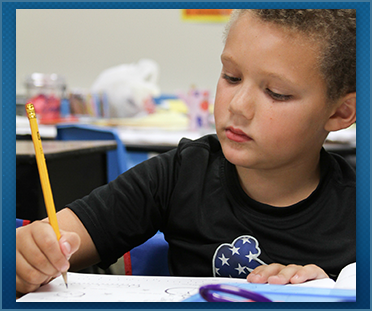 Fountas and Pinnell Benchmark Assessment System: MMES will begin implementing the Fountas and Pinnell Benchmark Assessment System this school year for grades K-3. It is an individually-administered reading assessment that helps to determine students’ reading levels and skills in phonemic awareness and phonics, fluency, comprehension, and vocabulary. Full implementation of F&P BAS involves benchmarks in August and May with a possible middle benchmark in December. At this time, MMES teachers are implementing it slowly and getting to know the system. ATI Galileo: The school district has had Assessment Technology Inc.’s Galileo assessment in place for several years. Last year, MMES revamped its Galileo program in 2nd and 3rd grade. At the end of each quarter, 2nd and 3rd grade have paper-based or online English Language Arts and Math assessments aligned directly to the state standards. Each quarter’s assessment features only the standards that were taught during that quarter. Grade levels also have the options for administering pre- and post-tests with comprehensive standards selected by ATI. With the upcoming school year, we are looking at similar benchmark assessments for kindergarten and first grade. As with 2nd and 3rd grade last year, teachers will be able to select the standards that were taught each quarter. The kindergarten assessments will likely be individually-administered “flip book” tests, and the first grade ones will involve practices appropriate to the grade level at particular times of the school year (i.e. reading math questions to students). AzMERIT: In 2014-2015, Arizona’s 3rd-11th grade students took the new state test AzMERIT (Arizona’s Measurement of Educational Readiness to Inform Teaching) for the first time. It is a statewide, standardized achievement test in English Language Arts and Math. AzMERIT replaced the former AIMS test to align to the Arizona College and Career Ready Standards adopted by the state in 2010. Last year, schools had the option to administer the assessment computer-based or paper-based. MMES chose paper-based to better ease our third graders into the new test with a more comfortable format. We will keep parents informed as we receive information about this year’s AzMERIT. At this time, we do know that our 3rd graders will be taking it sometime in the Spring and that the state’s Move On When Reading law will apply. Please see the MOWR parent letter for more information. Harcourt Trophies (grades K-2) and Houghton Mifflin Reading (grade 3): Literature-based, thematic series that emphasize the five essential components of reading: phonemic awareness, phonics, fluency, vocabulary development, and reading comprehension. Being a Writer: A comprehensive writing program from the Center for the Collaborative Classroom in which students learn to write from published writing and engage in authentic writing through a writer’s workshop approach. Orton-Gillingham/Recipe for Reading: A sequential, multi-sensory approach to teaching phonics and spelling. MMES teachers have determined sound and word lists from Kindergarten to 3rd grade based on the Orton-Gillingham approach and Recipe for Reading resources. Words Their Way and Essential Word Sorts: Two programs in which students engage in word study, learning the regularities and patterns of words. Both programs complement the Orton-Gillingham approach. Scholastic Core Clicks: A digital reading program using nonfiction texts to teach “close reading” skills. Close reading teaches students to analyze text critically, focusing on the main idea and significant details. Interactive Read-Alouds: This program makes read-alouds of popular children’s literature interactive through guided conversations that teach students reflective thinking. Handwriting Without Tears: A research-based program with a developmentally appropriate, multisensory, and positive approach to teaching handwriting from beginning print in preschool to cursive in 3rd grade. Additionally, MMES will be implementing the Keyboarding Without Tears program beginning this school year. Scholastic, High Noon, and Other Leveled Books for Guided Reading: Along with leveled readers from the core programs from Harcourt and Houghton Mifflin, MMES incorporates books from a variety of programs to teach reading in small groups at students’ different instructional levels. Renaissance Learning: An online system including the STAR reading assessment and the Accelerated Reader (AR) program. STAR helps determine students’ reading levels and is administered 3-4 times a year. With AR, students read books at their independent reading levels and take quizzes with comprehension questions. Beginning this school year, MMES is implementing the new AR 360 that offers online nonfiction texts where students use interactive close reading techniques and take quizzes. The district is currently proposing to adopt the Bridges in Mathematics, 2nd Edition program from The Math Learning Center for grades K-3. Sample materials are on display for a 60-day review by parents and community members at the district office. You can also learn more about the program at the Bridges in Mathematics website. Parents and students can begin to “play” with the program by access The Math Learning Center’s free apps. This proposal is the result of many hours of research and thoughtful analysis by our school’s curriculum team composed of teachers from each grade level, including special education and special area representation, and in consultation with their fellow teachers this summer. Kindergarten will continue to use various materials matched to the standards, being sure to focus on effective, standards-based tools such as ten-frames and number bonds. Once new materials are received pending board approval, they will begin to incorporate Bridges in Mathematics, in particular its component known as Number Corner. First grade is using Bridges in Mathematics unit materials that are available to us through an online preview. Once new materials are received pending board approval, first grade will be implementing the program fully. Second grade will continue using Saxon Math and incorporate some Bridges in Mathematics units available through the online preview as supplements. Once new materials are received pending board approval, they will fully implement the Bridges component Number Corner to supplement Saxon. Third grade will use free and standards-aligned Engage New York modules as they have for the past two years. Once new materials are received pending board approval, they will fully implement the Bridges component Number Corner in addition to Engage New York. The honors class will be using 4th grade Saxon Math in addition to 3rd grade Engage New York. In addition, MMES continues to implement the online supplementary program Reflex Math. This is an engaging, interactive program where students practice and master math facts appropriate to their grade levels. We begin using Reflex Math with students in the second semester of first grade. As students use the program, it adjusts to their specific strengths and needs. BrainPOP Jr. and other interactive educational video sites: MMES uses its PTO-funded BrainPOP Jr. subscription and other video sites to supplement instruction with relevant interactive and video clips. Waterford Early learning System and Pearson SuccessMaker: With both programs, students practice English Language Arts and Math skills on the computer with the lessons, activities, and assessments adjusting based on students’ needs. Students will have the opportunity to use these programs in one of our three computer labs, now named after three Falcons: Merlin, Kestrel, and Peregrine. ScootPad: MMES is trying out a new online skills practice program in Kindergarten and 3rd grade this year. After this year, we will evaluate its effectiveness and possibly look at it school-wide. MMES offers students a balanced curriculum and educates the whole child through its related arts classes of Art, Music, Physical Education, and Technology. K-3 classes attend related arts class daily, having each one once or twice per week. Community preschool has two of the classes once or twice per week for each semester. Classes are 42 minutes on Mondays, Tuesdays, Thursdays, and Fridays and 35 minutes on Wednesdays. Related arts classes are an essential part of our program, collaborating with grade level teachers to make connections to the core curriculum and bringing the community together through key events. Be sure to check our website and Facebook page often about the exciting things that are happening with our awesome special area teacher team! Science and social studies are integrated through ELA and mathematics as well as being taught through teacher-developed units and hands-on activities. Resources include the adopted textbook Harcourt Science, hands-on materials such as insect kits and Legos, and magazine subscriptions for Scholastic News (grades K-2) and Scholastic Storyworks (grade 3). Furthermore, the district is currently proposing to adopt the Museum of Science, Boston’s Engineering is Elementary (EIE) as supplementary science units for grades K-3. Sample materials are on display for a 60-day review by parents and community members at the district office. You can also learn more about the program at the Engineering is Elementary website. Each grade level has selected one or two EIE kits that are aligned to their standards and developmentally appropriate for their students. In addition, the technology class will incorporate two units. Once new materials are received pending board approval, each grade level will begin implementing the units at the appropriate time of the school year with the potential for putting additional units in place in future school years.